Eric Schwartzman specializes in digital strategy, social media audits, social media policy development, social media compliance, social media marketing, search engine optimization and web development. Schwartzman founded iPRSoftware and is the author of the best selling social media marketing book “Social Marketing to the Business Customer,” the first book on business-to-business applications of social media. Get Twitter training for intermediate users in this comprehensive social media training course with case studies, best practices and training video tutorials. Learn to Tweet from Instragram, Foursquare & Hootsuite. Raise your Klout score! 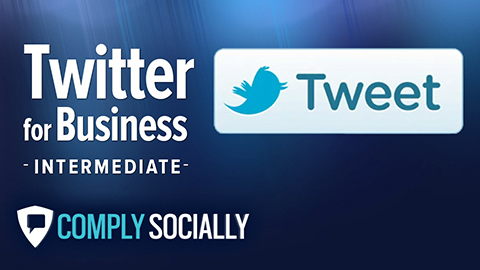 Twitter Training for intermediate users is one of our most popular online marketing courses. Or upgrade to our Social Media Online Course Bootcamp Bundle and learn to Twitter, Facebook, LinkedIn and more.